CENTER VALLEY, Pa., September 15, 2014 – Professional quality telephoto shooting is now more portable than ever with the introduction of the Olympus M.ZUIKO DIGITAL ED 40-150mm f2.8 PRO lens (80-300mm in 35mm equivalent). This latest Olympus lens is the first telephoto in the M.ZUIKO PRO series that features a dust, splash and freezeproof construction, durable enough to withstand the rigors of professional shooting, when combined with the Olympus OM-D E-M1®. The M.ZUIKO DIGITAL ED 40-150mm f2.8 PRO lens maintains a constant f2.8 aperture for bright, superior optical performance that meets the needs of professional photographers. It incorporates the world’s first focusing system to power two high-grade lens elements using dual linear VCM (Voice Coil Motor) motors, for quiet, fast focusing on subjects such as fast moving subjects at sporting events. 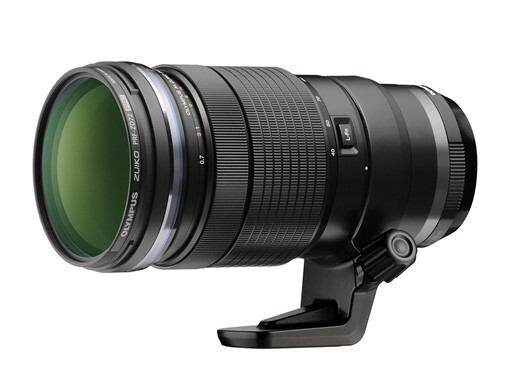 This lens is also perfect for wedding or event photography. With a minimum focus distance of just 20 inches from the front of the lens at all focal lengths, a dedicated Function button, manual focus clutch and a sliding, protective lens hood, the new M.ZUIKO DIGITAL ED 40-150mm f2.8 PRO is versatile, portable and easy-to-use. An inner zoom mechanism allows the lens to maintain its portable size of just over 6 inches. For anyone in need of even more zoom power, the MC-1.4x teleconverter boosts the zoom range of the Olympus M.ZUIKO DIGITAL ED 40-150mm f2.8 PRO lens to a 420mm equivalent, and offers the same dust, splash and freezeproof build quality of the rest of the PRO series – making it ideal for shooting in the field, even in the rain.